The Piano Sonata No. 14 in C♯ minor “Quasi una fantasia”, Op. 27, No. 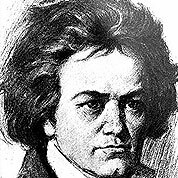 2, by Ludwig van Beethoven, popularly known as the Moonlight Sonata (Mondscheinsonate in German), was completed in 1801. It was dedicated in 1802 to his pupil, the then 20-year-old Countess Julie Guicciardi, with whom Beethoven was, or had been, in love. It is one of Beethoven’s most popular piano sonatas, as well as one of his most famous compositions for the piano. The name “Moonlight” Sonata derives from an 1832 description of the first movement by music critic Ludwig Rellstab, who compared it to real moonlight shining upon Lake Lucerne. Romantic Era. 100 Measures. 5 Pages. Time Signature 3/4. key of a. The second movement is basically a relatively conventional scherzo and trio, a moment of relative calm written in D-flat major, the enharmonic equivalent of C♯ major, the more easily-notated parallel major of C♯ minor. Franz Liszt described the second movement as “a flower between two chasms”. The slight majority of the movement is in piano, but a handful of sforzandos and forte-pianos helps to maintain the movement’s cheerful disposition.